There are some things in life you think are going to happen and then there are those moments that you never see coming. Well I had one of those moments flying backseat in a Cessna 185 photographing a Grumman Goose with a F8F Bearcat flying top cover. It was the first time with a Bearcat and a Goose. The flight was made possible by Pemberton and Sons and Historic Flight. 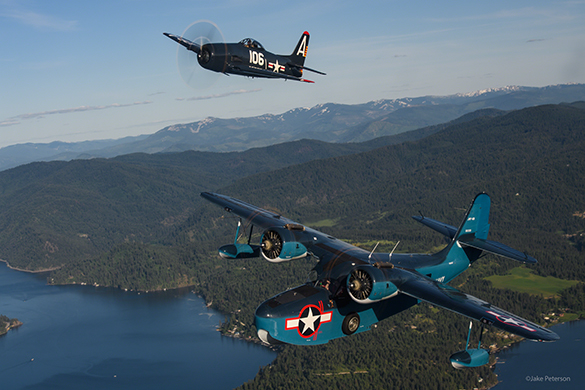 Both planes are Grumman made but served in a very different roles. 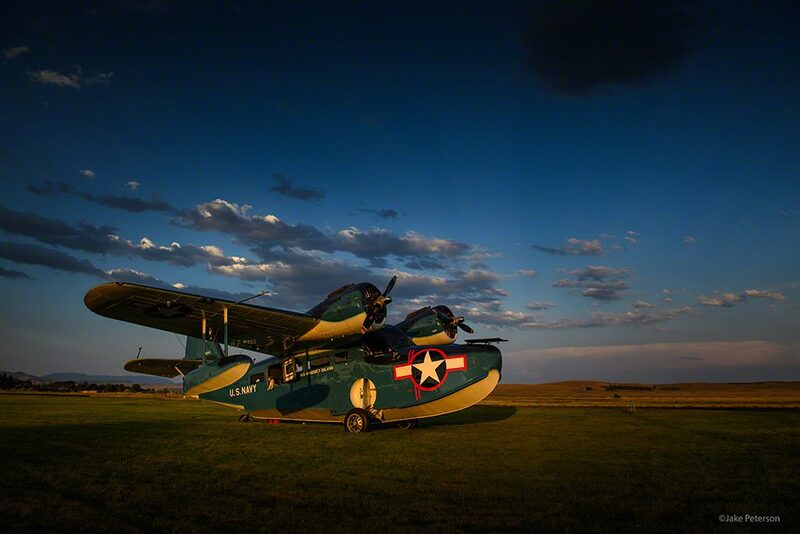 The Goose was a scout plane and a air sea rescue. The Bearcat was the last piston driven fighter of WWII but never saw action. It was utilized in the Korean War as a ground attack/bomber. A rather unique pair that together over Lake Coeur d’Alene made quite a sight.